With the first day of school hiding just around the corner, we’re tipping our hats to teachers, school staff, and educators everywhere. And while we’re not coming out in favor of any brown nosing, we know a “welcome back!” gift (also known as: “my kid has no ‘inside voice’ – sorry in advance”) is never a bad way to start the school year. Our best advice? Skip the traditional apple and kick things up a notch. 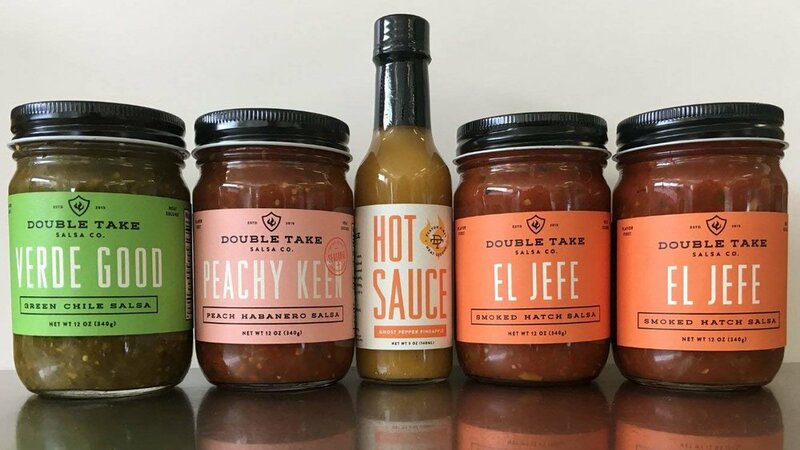 Our Double Take Salsa Marketplace on Amazon has gift sets for every taste and lifestyle. As a bonus, they’re locally crafted and made in small batches, so you can feel good about your purchase. If you know your child’s teacher is particularly health conscious, the Double Take Salsa No Sugar package goes big on flavor and says no to added sugars; it’s compliant with all sugar-restrictive diets and lifestyles, and includes our Verde Good green chile salsa, Peachy Keen peach habanero salsa; one 5-oz jar Ghost Pepper Pineapple hot sauce; and two 12-oz jars of El Jefe smoked hatch salsa. Our Double Take Salsa Gourmet Variety Pack is perfect for the foodie teacher in your life, and offers up our Aces & Eights Sweet Corn, Machismo Medium Chipotle, and Verde Good Green Chili salsas. Looking to switch things up from salsa to hot sauce? There’s a gift set for that, too. 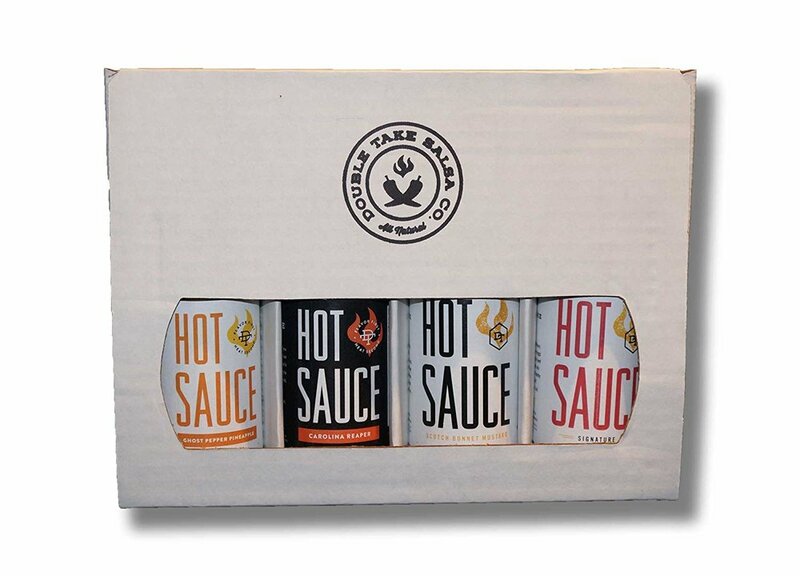 Our Double Take Hot Sauce 4-pack features complex flavors using exotic peppers. Each set contains one 5 oz. bottle of the following: Ghost Pepper Pineapple, Carolina Reaper, Scotch Bonnet Mustard, and the Double Take Salsa Signature hot sauces. And finally, you can never go wrong with a combo pack. Our Gourmet Salsa and Hot Sauce pack offers up the best of both worlds, featuring the El Jefe, Machismo, Aces & Eights, and Verde Good salsas alongside our new Avocado Cilantro hot sauce.